Address: Add: 4F,F Bldg, The 3rd Industrial Area of Phoenix,Pioneer Park,Fuyong Town,Baoan Dist.,Shenzhen,China. Maglev wind power generator / Maglev Wind Turbine design comes into the world , it is TYPMAR scientific and technical personnel that integrate design, Utility Design, Eectrical Engineering, Power mechanics, Air atmosphere, Engineering, Wind tunnel fractional disciplines , and adopt magnetic levitation technology theory, work with no mechanical friction, no gear in the motor case. Application :Street lamp with Single arm . 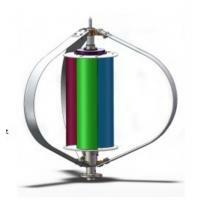 Why to choose TYPMAR this style wind turbine ?